Jenny of ELEFANTZ: "The Secret Garden" mini quilt! "The Secret Garden" mini quilt! When Tilda Australia asked me to be a part of the September Tilda Showcase and design a project using Tone Finnanger's new Cabbage Rose and Memory Lane 'Tilda' fabrics I excitedly answered (or did I shout?) YES! I've been buying sweet Tilda fabric since 2009 when no-one in my country stocked it. I bought from the UK and Europe, and also did a few fabric swaps with European bloggers, such was my delight in the pretty prints, and I now have a varied collection from back then till now. 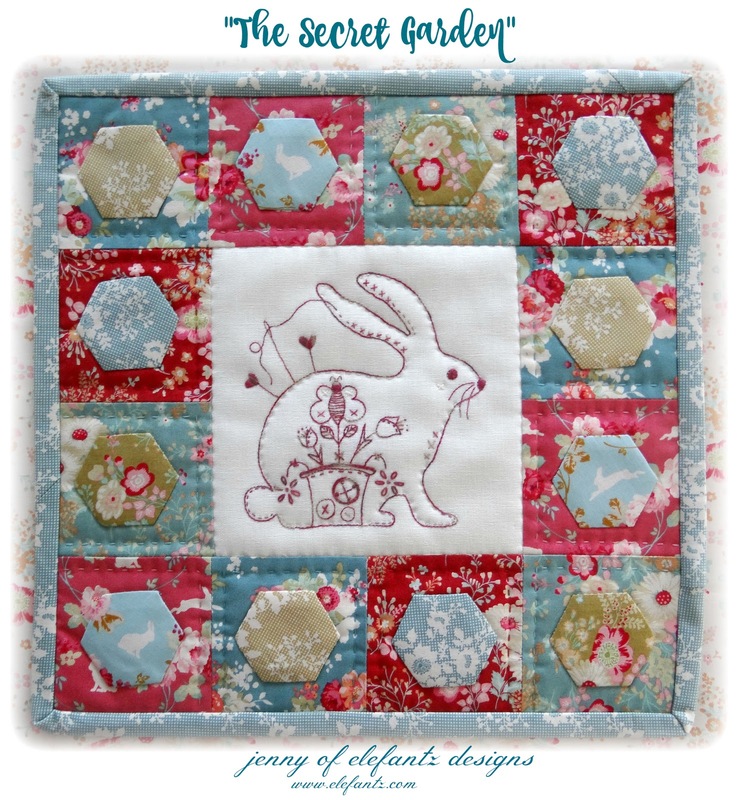 You may recognise the centre of my Secret Garden mini-quilt as the Prim Spin Rabbit stitchery which was inside July's issue of The Stitchery Club. It was the perfect feature to celebrate the different Cabbage Rose and Memory Lane fabrics as combined with simple patchwork squares and paper pieced hexies the stitchery now had a 'frame'. Visit the Tilda World blog (here) to download the project calendar and see what other Australian designers have been making with these fabric delights. You can also follow @tilda_australia on Instagram to see each project on the day it's revealed through September! 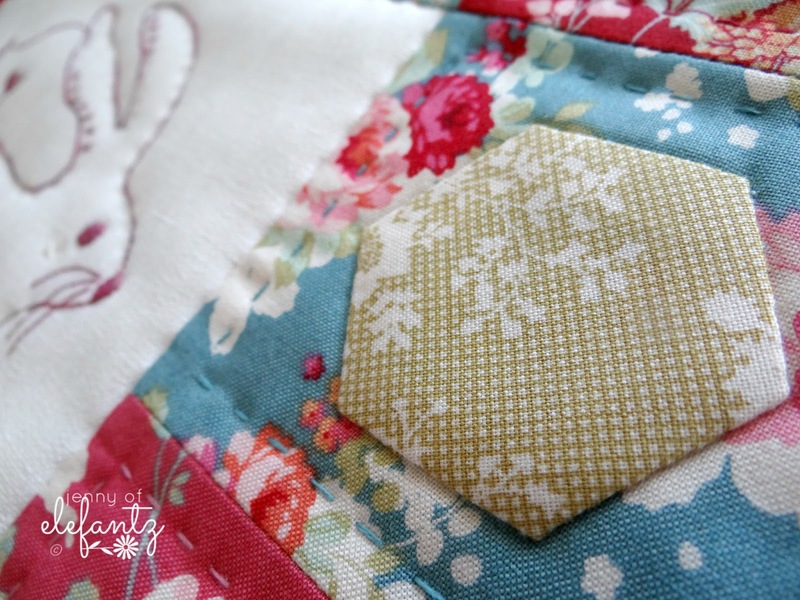 Want to make my "Secret Garden" mini quilt? It measures 12 1/2 inches square when finished and can be sewn using fat quarters. The full PDF pattern, which includes the rabbit stitchery and detailed quilt instructions can be purchased HERE as an instant download. NOTE: My Stitchery Club members will receive the mini-quilt pattern in their September 17 issue. Not a member yet? Join here. It's easy and fun! I love this white rabbit. It has been very sweet, perfectly harmonizes with the fabric. Congratulations on another beautiful design. Hugs. I absolutely love this mini-quilt, and I can't wait to receive the September Stitchery Club patterns! Thank you, Jenny! thank you, thank you, thank you for giving the Stitchery Club members the pattern in September! Awesome! How gorgeous is that! Beautiful , sweet and so you! I love this project - thank you for doing all you do your fans appreciate it. Thats very pretty Jenny, well done! Lovely, lovely design. Looking forward to September 17th!!! How cute that is, Jenny! I don't have any Tilda except a piece you sent me, I think. I do have some small rose prints, though, so maybe I can come up with something! Thanks again - so glad to know it will be in September's club. Oh Jenny - it is so, so pretty. With all the sad things that happened there for a while it has been lovely to click on your blog and see beautiful creative things. Thank you. 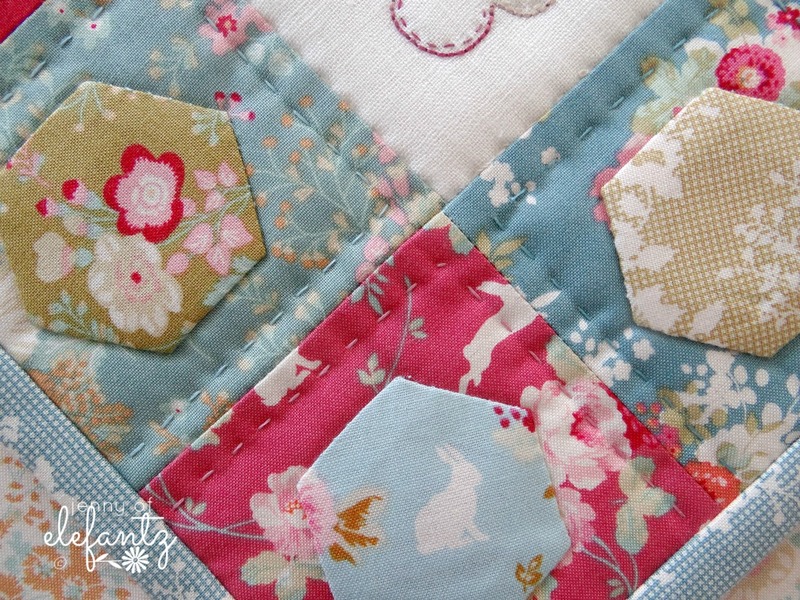 Oh, Jenny your mini quilt/stitchery is so darn cute. Love the tilda fabric. Thank you, sweet Jenny, for being so generous to include this beauty in the Sept. Stitchery Club. Whoo-hoo! 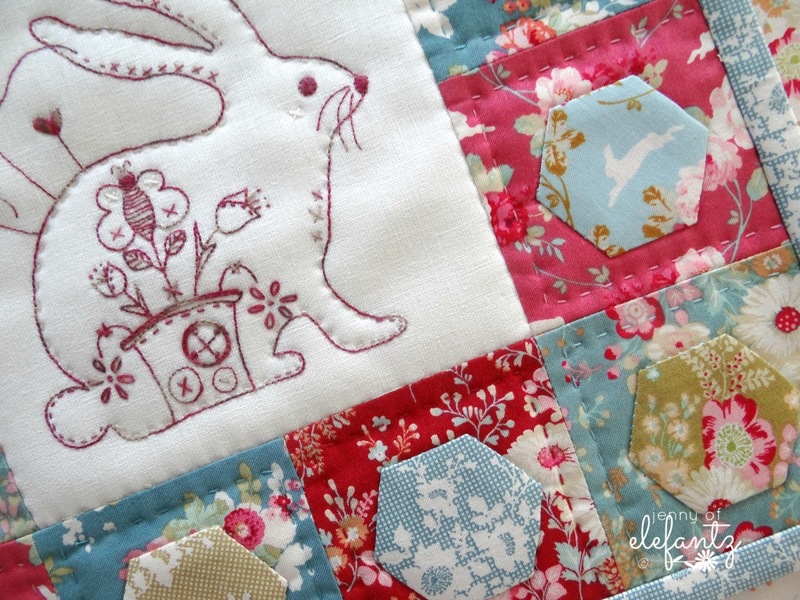 Your embroidered bunny goes perfect with the fabric.